Have you ever thought that you could use another arm? Or eight? That's a problem that octopuses never seem to have! Now, with this Adult Octopus Mascot Costume, you can count yourself amongst the lucky cephalopods that have the gift of many arms. 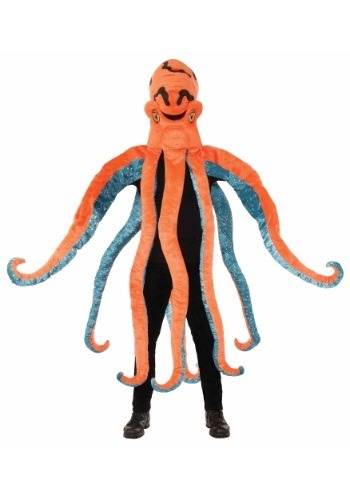 The costume has a goofy look that turns your head into an octopus, complete with cartoonish eyes and a whole bunch of tentacles. Once you have it you may have the strong urge to attack large oceanic vessels though. (We assume no responsibilities for any submarine-based damages attributed to any and all octopuses or people wearing this octopus costume).